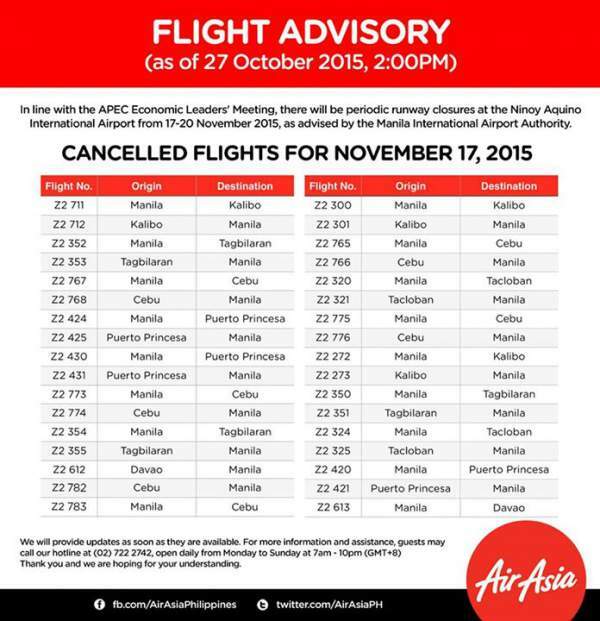 AirAsia: Cancelled flights from November 17-20 due to APEC meetings - Balita Boss! The Philippines will host this year's Asia-Pacific Economic Cooperation (APEC) meetings. 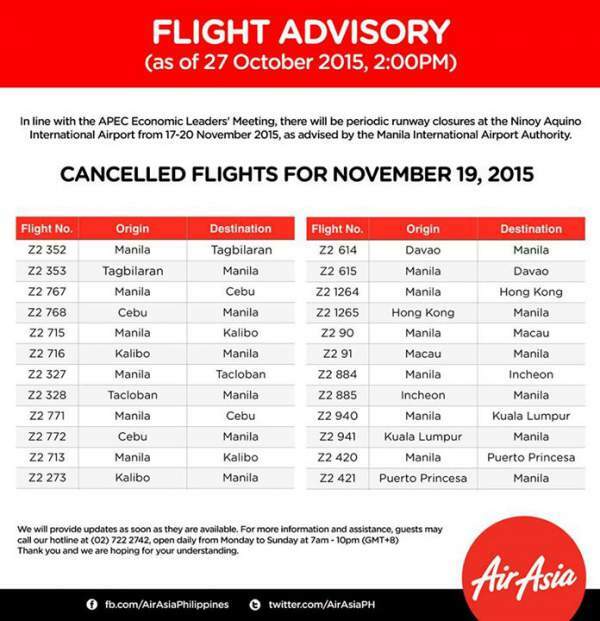 Giving way for arriving and departing heads of states and business leaders for the November 16–20 summit, selected AirAsia flights have been cancelled within the duration of the event. 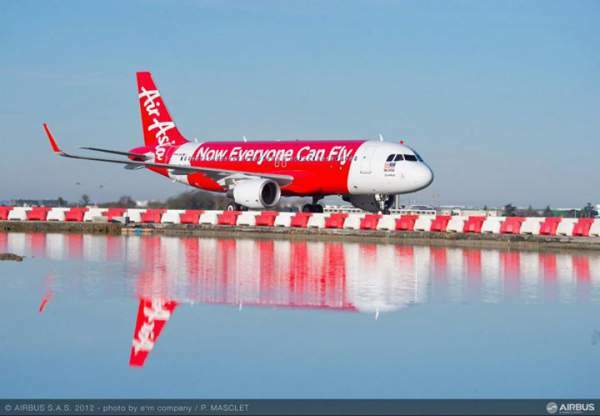 AirAsia also said they will provide updates as soon as they are available. Guests will receive SMS and E-mail notifications based on the contact information on their booking. 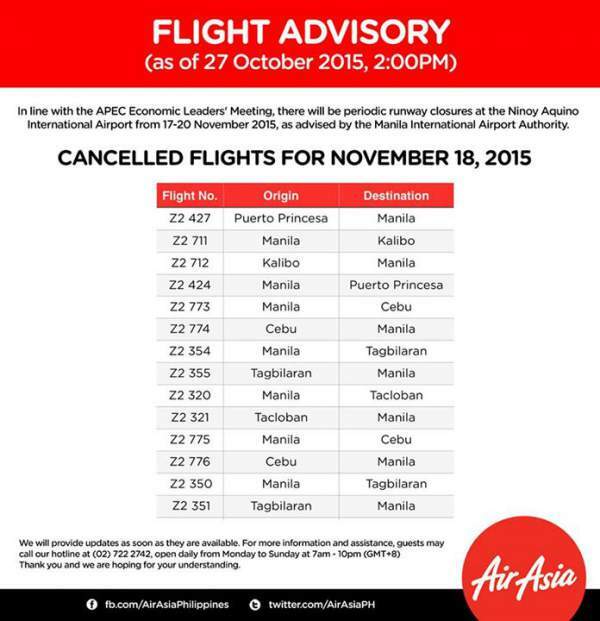 For more information and assistance, guests may call AirAsia's hotline at +632 722-2742 from Mondays-Sundays, 7:00 AM - 10:00 PM or reach them through Live Chat at http://www.airasia.com/ph/en/live-chat.page or submit an E-Form at http://www.airasia.com/ph/en/e-form.page. 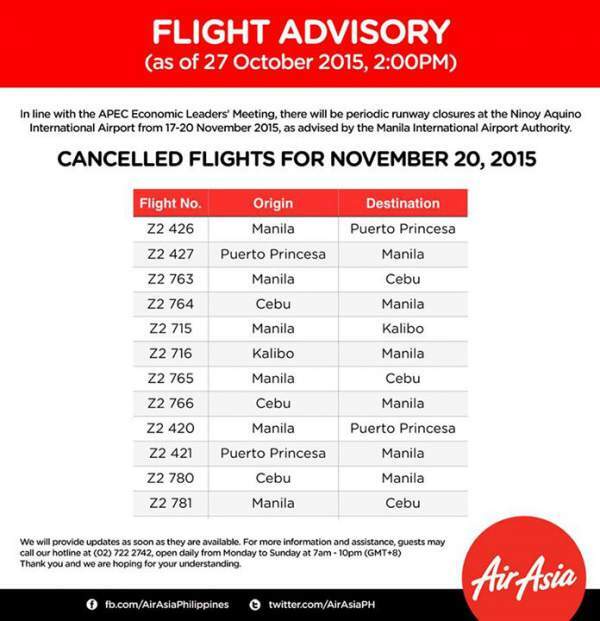 Flight cancellations for the APEC Economic Leaders’ Meeting 2015, AirAsia.com/ph.